Over the years, Connect Realty has built great relationships with various companies in the real estate industry, as we enjoy working with those who cherish the same philosophies and offer the same exceptional services to their clients and employees as we do. Through these partnerships and alliances, our real estate agents boast access to additional tools that provide unmatched services to their clients. One of Connect Realty’s esteemed partners is Buyers Protection Group (BPG). Headquartered in Alpharetta, Georgia, BPG has been providing home warranties since 1987 and home inspections since 1989. They currently have operations in 14 states with a focus on the top 25 housing markets, providing consumer-centric services to help real estate agents, buyers and sellers in their real estate transactions. With a network of over 300 employees, affiliates and technology, BPG is uniquely qualified to deliver various needs for their clients, including optimal home warranty packages, home inspections, commercial and multi-family inspections, reserve studies, property disclosure reports, radon testing and monitoring, and pest inspections. BPG Home Warranty Company provides warranties that are distinct in value advantages that are unmatched by their competitors. They offer simple choices for comprehensive coverage, and allow you to choose the plan and options that work best for you. Both Standard Plans and Preferred Plans are equipped with competitive coverage for their clients. In addition, BPG Home Warranty Company boasts one of the lowest trade call fees in the industry. Not to mention, they offer a full year of personalized support and direct access to inspection and engineer professionals, free of charge. A charter member of the National Home Service Contract Association, BPG Home Warranty is ranked as one of the top ten home warranty providers based on contracts in force. As the largest employee-based home inspection company in the country, all inspectors of BPG Home Inspections are employed directly by BPG, ensuring that their work is covered under the company’s general liability and E & O policy, which also covers referring REALTORS from claims arising from inspections. In secondary markets, BPG Home Inspections offers an affiliate program of approximately 500 independent inspectors who are available for BPG work in the smaller market areas, as well. Ranked by Fortune Magazine as one of the “Most Admired Companies” in Real Estate the last two years, BPG Home Inspections is fundamentally changing the face of the home inspection industry with distinctive value advantages to the Real Estate Agent, the client and the Inspector. Their innovative technology has facilitated the home inspection process, as well, including their state-of-the-art, industry leading, hand held, electronic Inspection Management System. This system is unmatched within the industry, as it includes an enhanced comment library that allows for more detail property descriptions. In addition, the device walks the Inspector through the home while checking every system and structure, and provides buyers and sellers with the most accurate and detailed report, available to print on-site or view online. Not to mention, BPG Home Inspections only hires the best professionals in the industry. After making it through the selective hiring process, BPG Home Inspections’ employees receive extensive training and mentoring. Plus, BPG Home Inspections consistently offers workshops and seminars to ensure that employees are up to date on the latest advancements in the industry. Connect Realty’s goal is to provide their Real Estate Agents with the most elite services in the industry. Therefore, we are elated to have BPG as a partner! 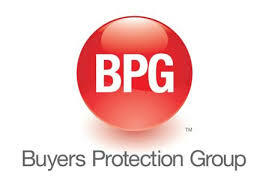 If you are buying or selling your home, protect yourself and your investment by using BPG. Need a highly qualified Real Estate Agent to guide you through all of your Houston housing needs? Click here to find one near you!